Manufactured in the late 1990's, the Husqvarna Viking 500 is a computerized sewing and quilting machine. This model offers 120 stitches and 3 fonts for all your design needs. It includes all the features you would expect of a machine of this caliber such as needle up/down settings, embroidery stitches, one step buttonhole and free arm. It's many settings let you adjust stitch length, width and needle position to suit your particular fabric and design. 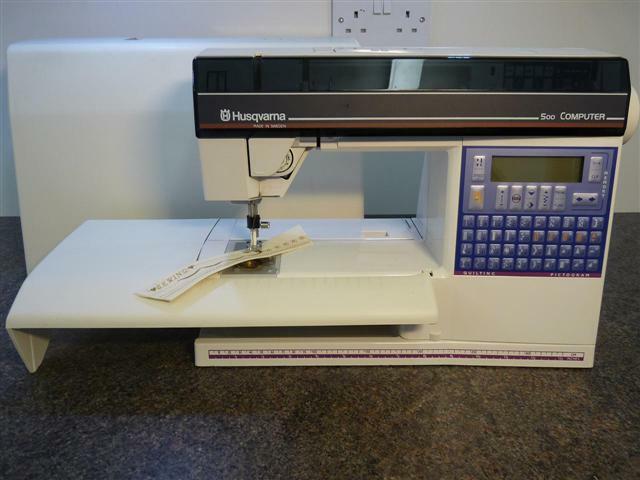 Husqvarna are well known for their "smart" sewing machines which are typically Viking and Pfaff models. This item includes Hard Cover Case, Foot Control, Power Cord, Extension Arm Guide, 7 Green Viking Bobbins and accessories.